The highlight of the Bolle Virtuose is the interchangeability of lenses allowed by the intuitive design of the Switch N’ Play system. What makes the system unique is the simple single click that allows for release and removal of the installed lens and readies the frame to accept the replacement lens to better suit that day’s light conditions. 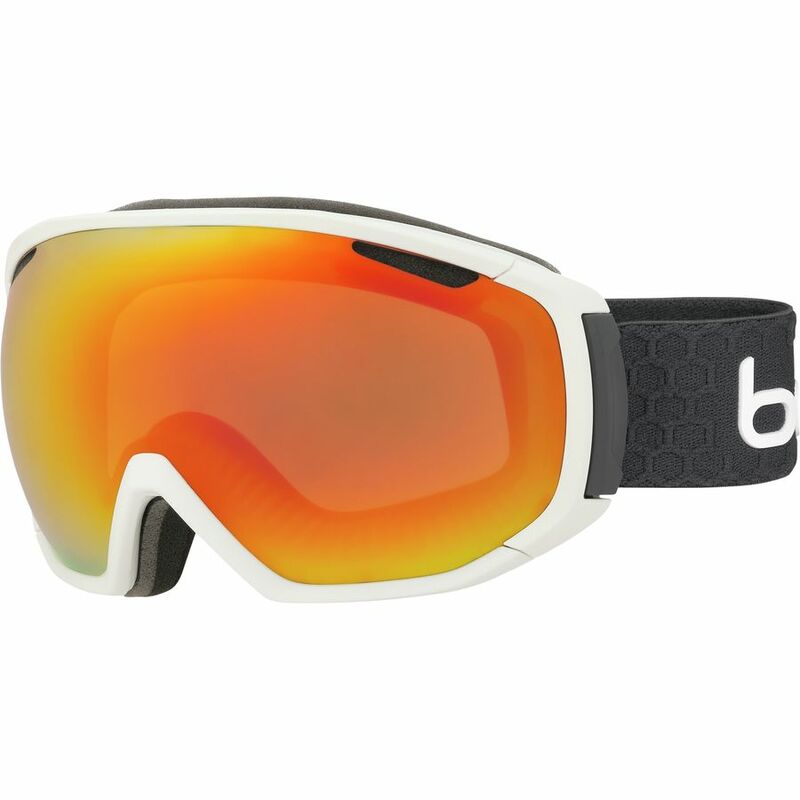 Bolle equipped the Virtuose with a bevy of technical attribute that define its premium performance. 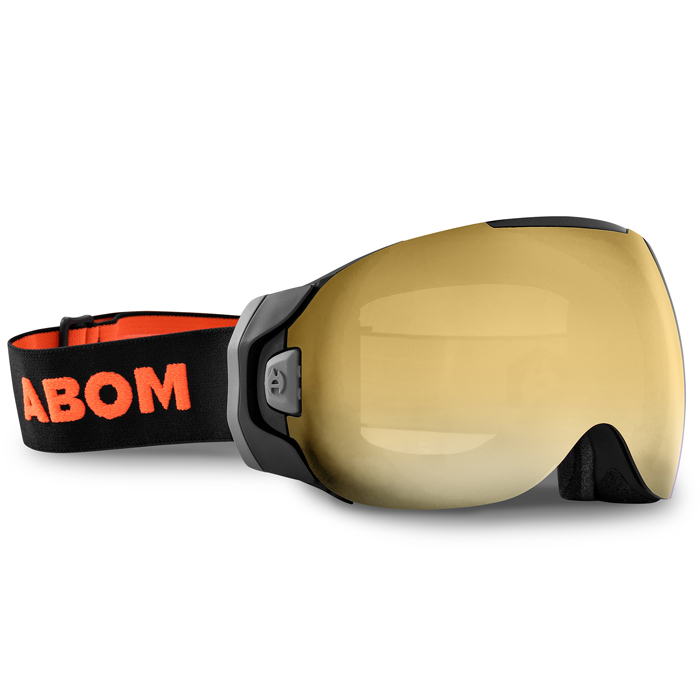 The dual-lens with its double pane and equalizer vents grant the wearer unflappable clarity and protection from harmful light rays. 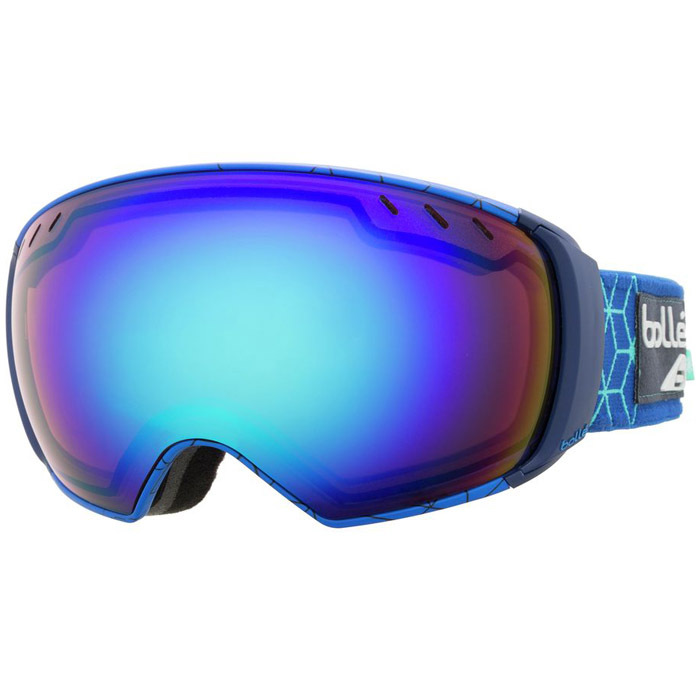 Bolle beefs up its lenses and increase performance by adding the Carbo-glass layer to protect against scratching and tacks on an anti-fog coating to ensure fog-free viewing. Next to the skin, Bolle used a super-plush fleece for added comfort on the triple layer foam, which provides a perfect seal to stave off the errant snowflake and breeze. 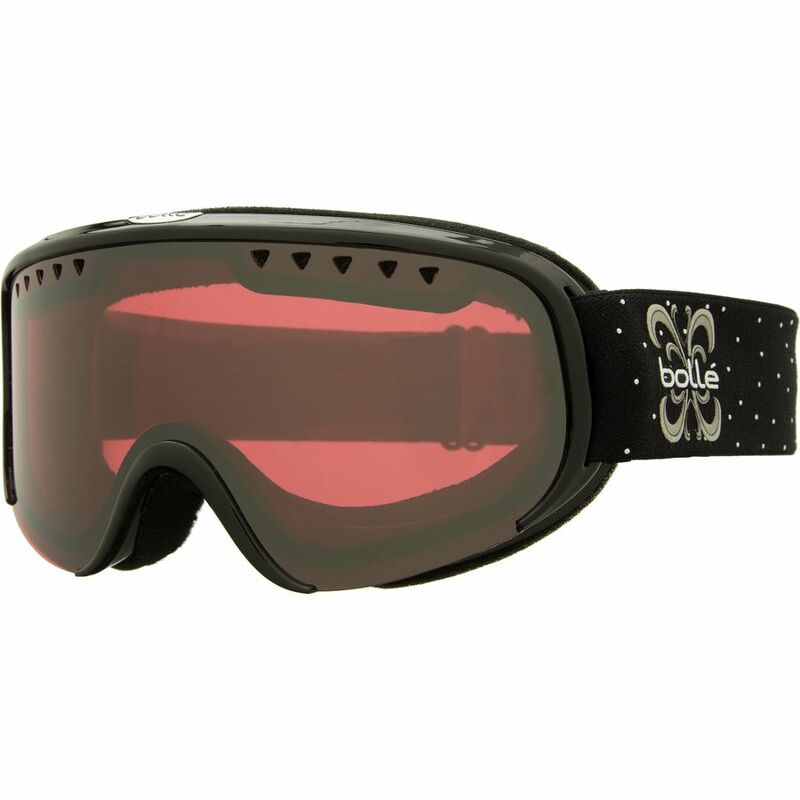 Designers at Bolle whose bottom line is performance added the Flow-Tech venting, which is specifically designed to reduce the occurrence of fogging and provide all-day comfort and crystal clear vision. 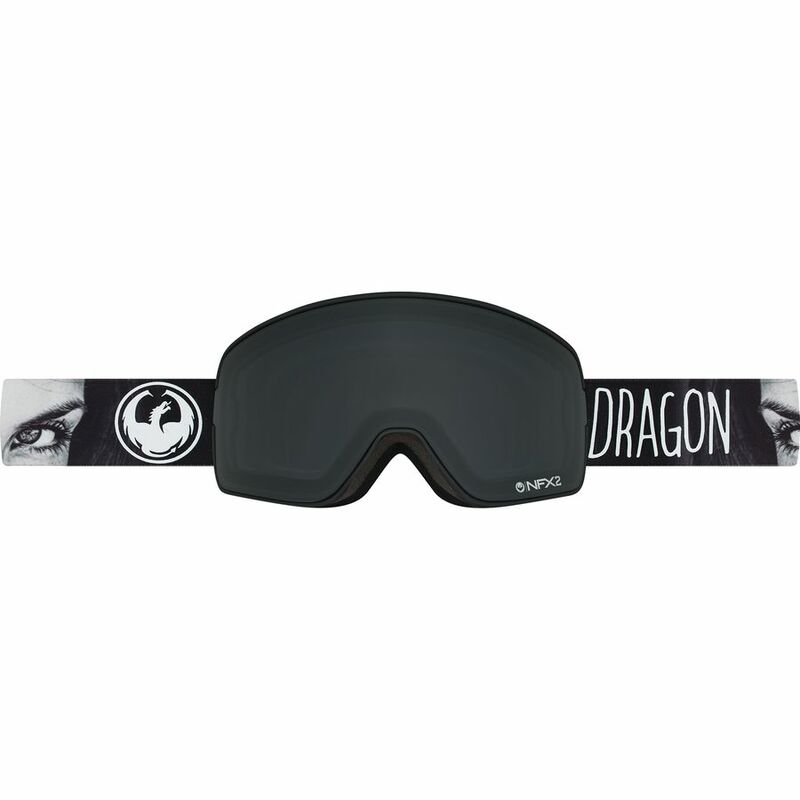 The Virtuose is a large-fit frame and is best suited for the biggest of faces. Active Junky testers liked the excellent field of vision and the wide periphery brought on by the large fit. 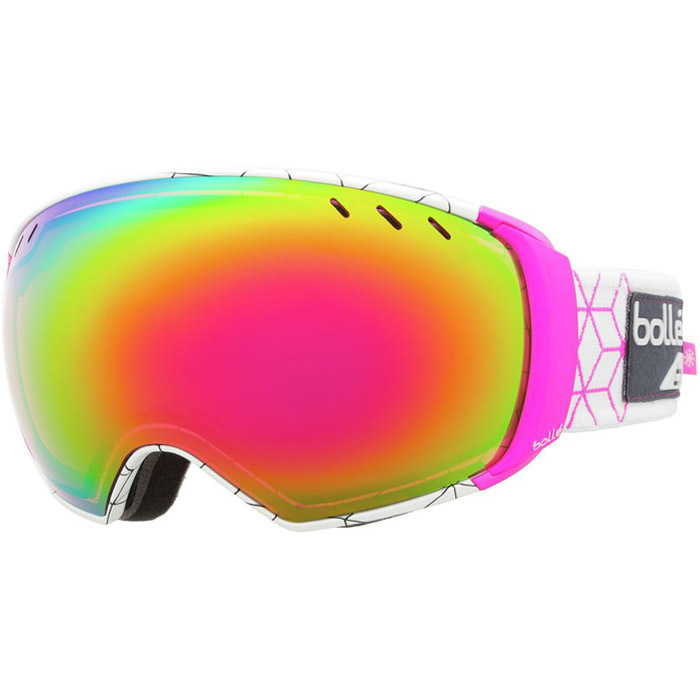 Bottom line is if you’ve been overlooking Bolle in recent years, the time is nigh to check out the recent models. Pros: Big fit for big faces. Super easy lens swapping. 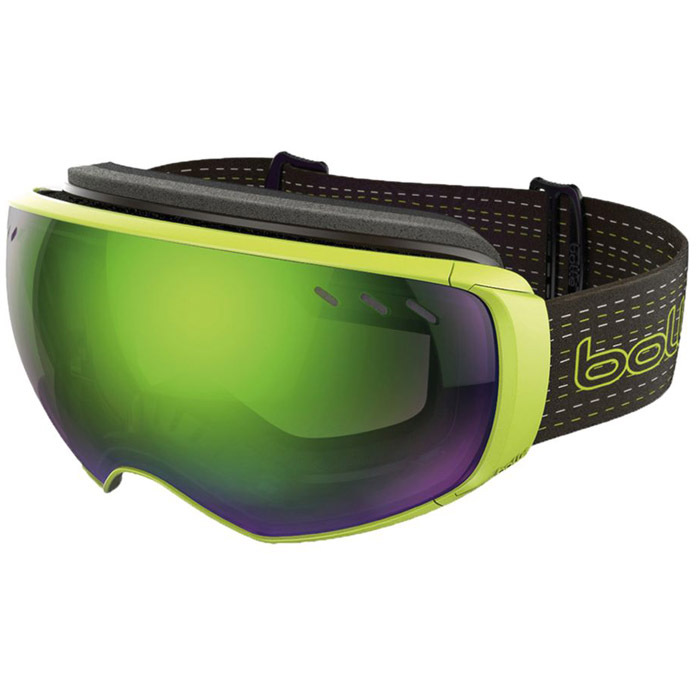 Cons: No silicone on the interior of the strap to keep the band in place on your helmet. A favorite for interchangeability, Bolle Virtuose’s Switch N’ Play system allows for swapping out lenses with a single click and switch. 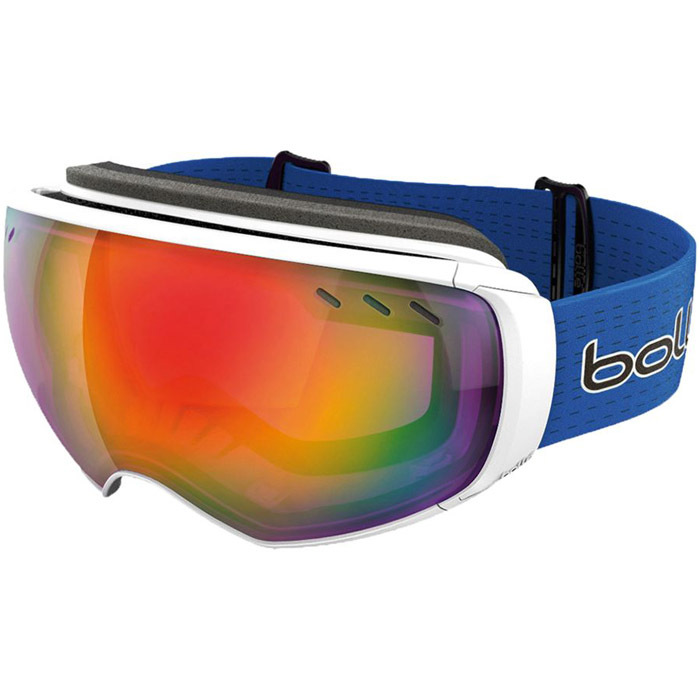 Flow-Tech Venting and Equalizer Vent stave off fog in this large-fit pair of ski and ride goggles.